"The facilitation and space held by Djulz allowed me to shift through many personal limitations. Innately quiet and introverted, I usually create many barriers when making sound with others; however, the environment allowed me to instantly feel a connection to the drums and to the people around me. 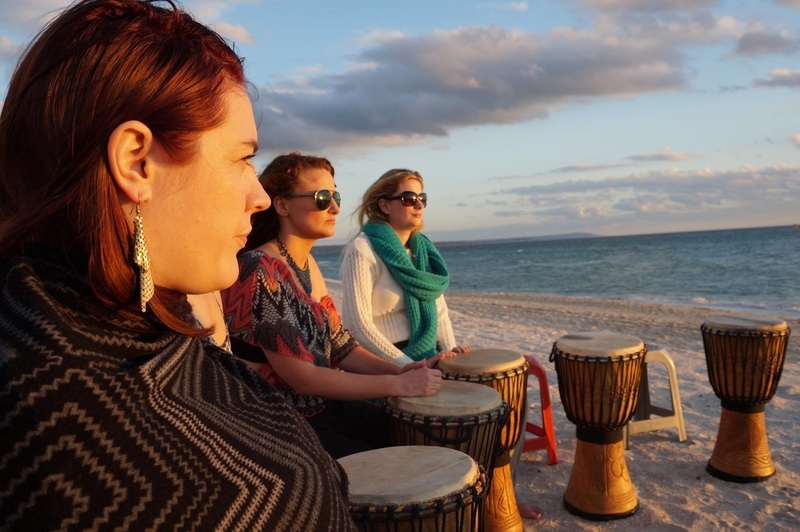 Soul Circles Drumming has opened me up to a whole new portal to self-healing and Shamanic journeying." 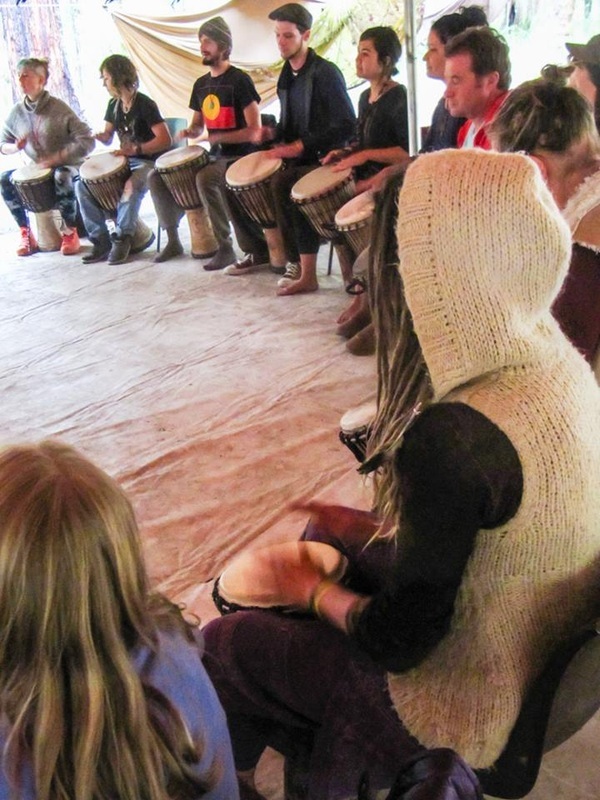 The djembe drum coined its name from the phrase “Anke dje anke be”, which in the ancient Bambara language of West Africa is an encouragement to gather in the spirit of peace and unity. At the core of Soul Circles’ festival and community workshops lies the essence of this invitation. 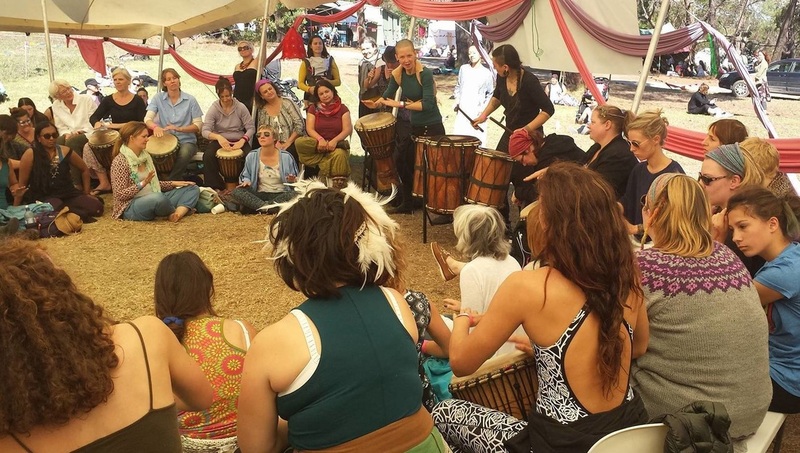 Souls drawn to these workshops are guided to use the drum as a means of drawing the healing vibrations of the earth into their beings, and encouraged to surrender to the rhythm as this vibration is literally felt through their bodies. By tuning into the symbiotic relationship humans have with the “pulse” of the natural world in this way, the foundation is established for deepening this practice into a development of the relationship we have with the pulse of our own hearts. Through a strongly facilitated process, this initial exploration into the fundamental vibrations of the drum is developed into a journey through sound into the ancient rhythms of West African drumming. These journeys also include an introduction to Bambara chanting, and cultivate a held environment where souls may feel free to express themselves without limitations.